ChopSaver all natural lip balm for musicians with lips is made from organic ingredients including shea butter, mango butter, aloe, natural moisturizers and a mixture of herbs. 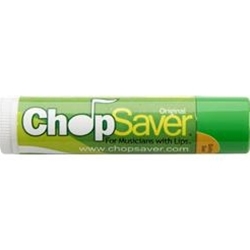 ChopSaver Lip Balm promotes healing of your lips and relieves swelling, chapping, and soreness in a gentle way. ChopSaver's clean aroma is pleasant and not overpowering.